Your ideas are overflowing! Your products/services are going to be a huge hit! Friends and family are totally jazzed. But, let me ask you something, does it really make sense to try and create a serious company without a concise pitch, executive summary, viable financials, and so forth? No. This is supposed to be the most fun part! The next step in your journey has to do with figuring out what type of business structure is right for your company. Once you’ve made your decision get the ball rolling on registration so that you can protect your personal assets (house, car, etc) and secure your brand name. Now it’s time to get right with the tax man. Have no fear, the state’s very startup-friendly in many respects and depending on certain variables you’ll have plenty of credits, incentives, and kickbacks to leverage. Afterwards you can celebrate your hard red tape work with a big fat slice of Mississippi Mud Pie. Just make sure you don't put this step off. Take Action: Begin by bookmarking the Mississippi Dept of Revenue’s Business Taxes page which has links to everything you’ll need. Whether you need licensing and permits depends on the nature of your business and where you’re setting up shop. At the end of the day, if you’re not working with a professional then you’ll want to check with the Town or City Clerk where you’re going to be located. 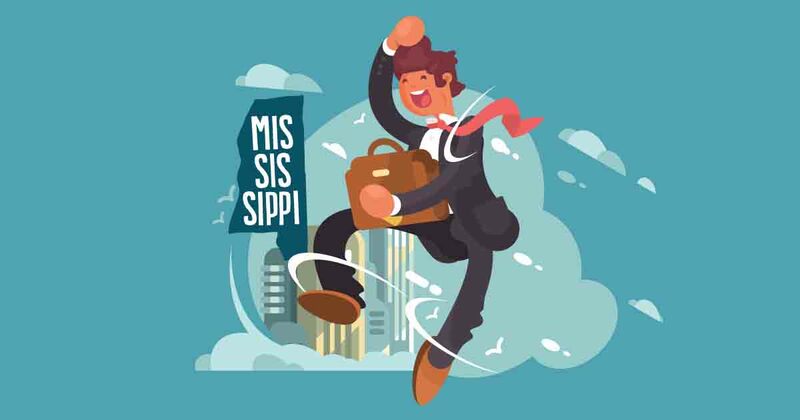 For DYI’ers head over to the Mississippi Small Business Development Center and check out their FAQs Page for new business owners. User-friendly, fast, secure, tons of automation, easier forecasting, more efficient marketing budgets…the benefits are near endless which is why this startup resource is indispensable. Check out our guide to Business Accounting Software and sync whichever you choose with your fresh startup bank account. Whether you opt for the medium-sized gems like Madison and Brandon, or go right for the bustle of Jackson or Gulfport, you’ll be in the beating heart of the south. Everywhere you look is a landmark, something iconic with astounding significance in American heritage. And the people are downright awesome just about everywhere you go. Thanks to modern-tech you have more access to more resources than any other human being at any other point in history. And that can be part of the problem…which will work best for your business? CrowdFunding and Social Lending are still new, but growing by massive amounts. How about investors or VCs? The sooner you begin grappling with this the better it’s going to turn out. Take Action: The email course we mentioned in Step 1 really comes in handy here because planning and finances go together like Biloxi and Barq’s root beer; like chicken and waffles. 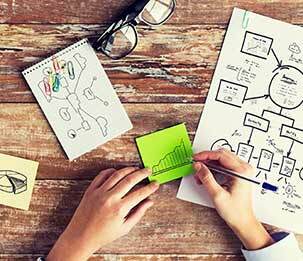 You can also browse our guide on How to Finance a Business to start generating ideas. No one’s saying your business website needs to be as impressive and awe-inspiring as the Mississippi River. Just have one. Mississippi culture is old, very old, but the people are as modern as ever. Give the world a way to engage with you, investigate your business and see where you’re going with it. Great, you’ve covered all the previous 8 steps. Now what? Getting the word out doesn’t happen overnight so don’t expect it to. Mississippi is a friendly place with astounding demographics, culture, and networks so the most important thing you can do is get out there! Don’t be shy and don’t use the internet as a crutch to avoid real contact with your ideal market. Take Action: Start close to home. Start with your neighbors. Start with local clubs and organizations. Use local internet search. No matter what state you do business in, because of the size of today’s marketplace you simply have to refine your approach or you’ll get lost. Go ahead, congratulate yourself and your team if you have a good one around. From this point forward it's about growing, evolving, keeping up with the learning process and staying motivated. Well, that's what we're all about around here. Toss Startup Savant into your goodie bag because we'll be here for you with plenty of insight from fellow change-makers. Take Action: Join the trip by following us on Facebook and Twitter to tap into our daily feed filled with tips, lessons, and inspiring stories directly from entrepreneurs like you.